Bobbie Lois Hartman obituary. Carnes Funeral Home. Bobbie Fountain Hartman was born in Jasper County, Texas to Garland and Viola Curry on January 25, 1935. She passed away Monday, May 29, 2017 at home surrounded by family. 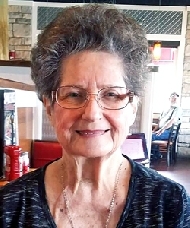 Bobbie was a telephone operator for Southwestern Bell for many years until her retirement. Bobbie enjoyed spending time with her family and friends, especially the “Golden Girls”, Joyce Quevedo, Patsy Ceccacci, Bettie Donaldson and Mary Alexander (who preceded her in death). The family will always remember Bobbie’s home cooking and fun holidays gatherings she hosted throughout the years. She unselfishly welcomed and loved all unconditionally. She is preceded in death by husbands, Archie Fountain and Clarence “Dutch” Hartman and sons, Tim and Donald Fountain. Bobbie is survived by daughter, Crystal Gimber (Gerry); son, Stephen Fountain (Melissa); daughter, Leann Dempsey; stepchildren, Karan King (Lance) and Donnie Hartman (Beth); grandchildren, Leslie Bannister, Lindsey Albers, Josh Fountain, Brittany Trevino, Tyler Fountain, Clint Morton, Taylor Morton, Ally Fountain, Dustin Hartman, Hunter Hartman, Dylan Hartman; 11 great-grandchildren and other family and friends. The family would like to thank Michelle Whitfield, Jennifer Cole and A-Med Hospice for their exceptional care and being her guardian angels through this difficult time. Bobbie was truly blessed by her family and friends. She touched so many people and made a difference in their lives just by knowing her. A Visitation will be held on Saturday, June 3rd at 4pm at Carnes Funeral Home - Texas City. Funeral Services will follow at 5pm with Pastor Johnny Angel officiating.